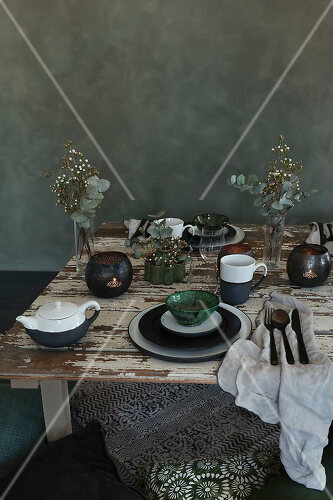 Put on the kettle because its time to steep some tea leaves. 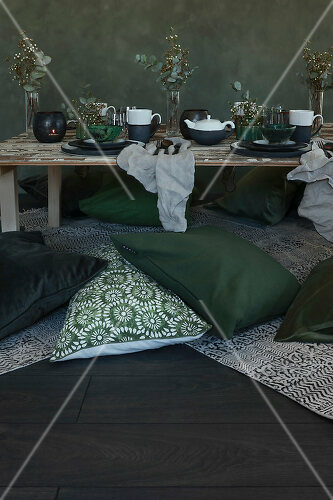 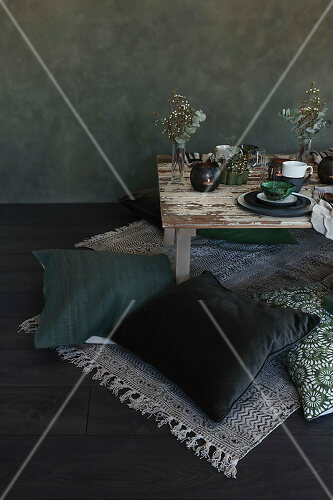 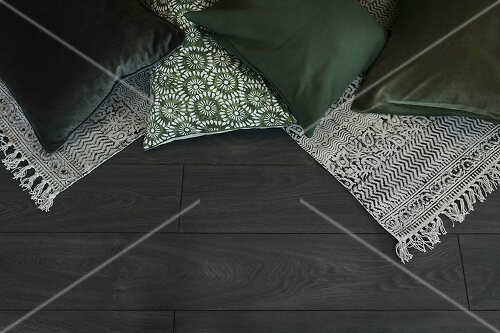 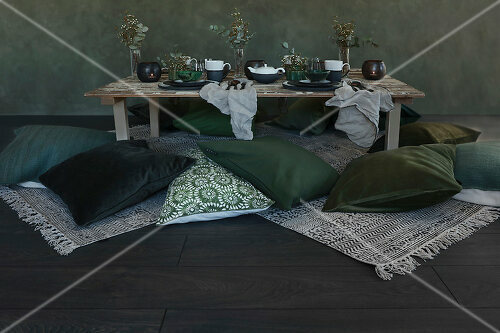 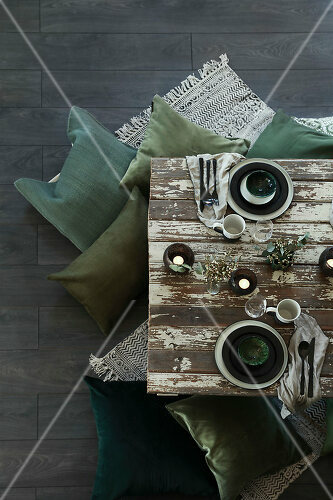 Pillows and rugs are strewn effortlessly around a pallet tea table making a serene atmosphere. 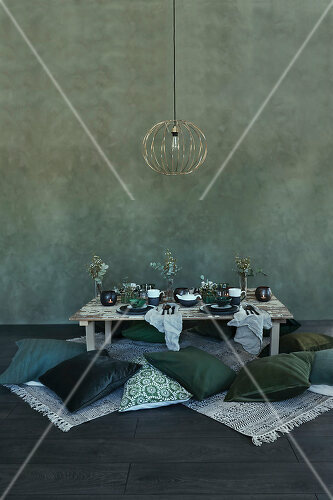 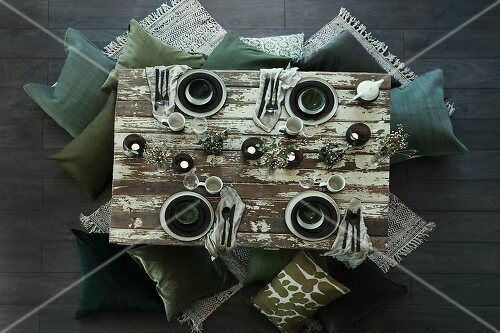 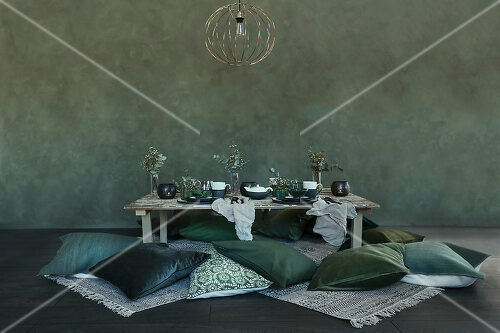 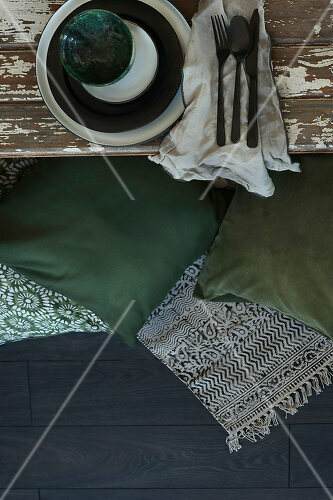 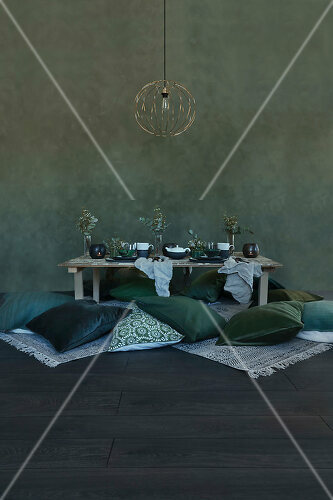 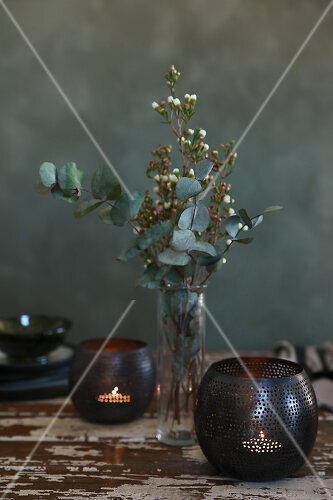 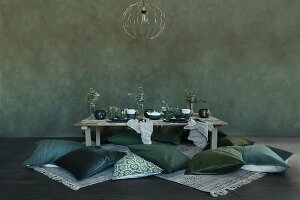 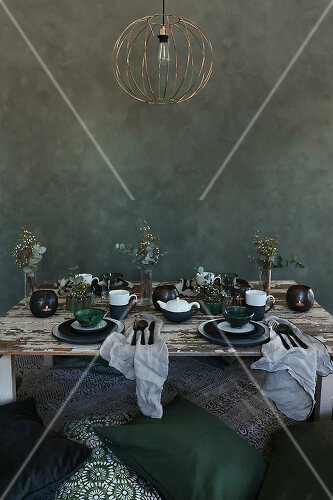 The colors of the décor match the green eucalyptus placed on the table. 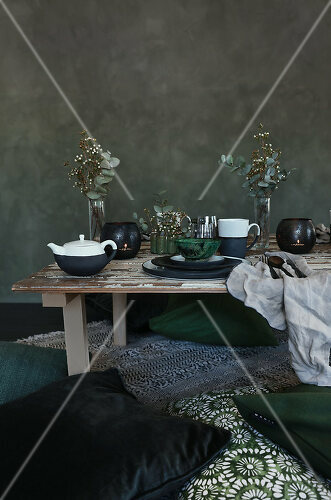 Welcome to the bohemian tea.